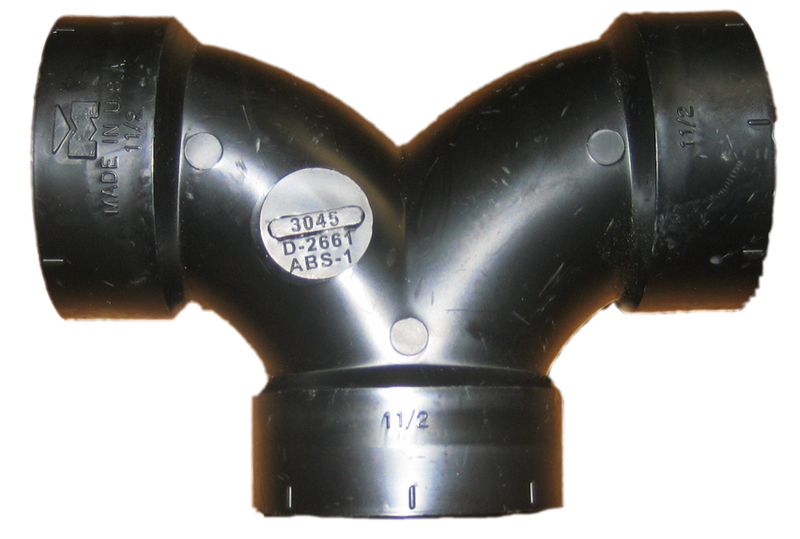 The ABS 1.5" Double Ell is used to divide the flow of greywater into two equal sections in a branched drain system. The double ell should be placed on a brick or stone and leveled so its perfectly flat. To get an equal split, you need a straight run of at least 2 feet entering the fitting, if you don't have this distance the water may not be equally divided. Typically 1.5" double ells are used in the entire branched drain system, or in all splits after the first in a system that used 2" pipe.